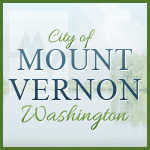 Stop by the Mount Vernon City Library on Valentine’s Day for some fun and relaxing crafting time. There will be supplies for adult coloring, Zen Tangling, water color painting, bullet journals and friendship bracelets. Feel free to bring your own crafting supplies as well! Light refreshments will be served. Everyone ages 15 and up is welcome at this free drop-in event.